Or use your User ID and PIN code to start the checkout of a bike. The screen will show you the dock number from where you take the bike. If the station is empty the screen will show you the nearest stations with available bikes. 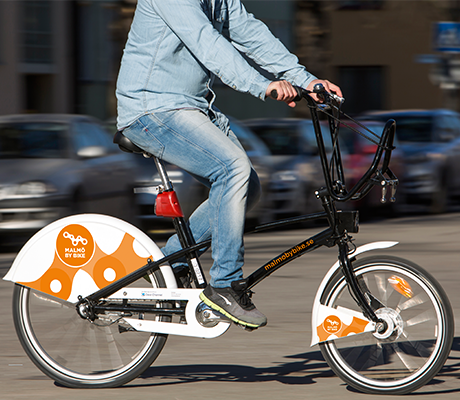 The system provides 2 minutes for you to check that the bike works properly. Otherwise return it to the station and start the checkout procedure again to get another bike. The system will make sure you won’t get the same bike again. 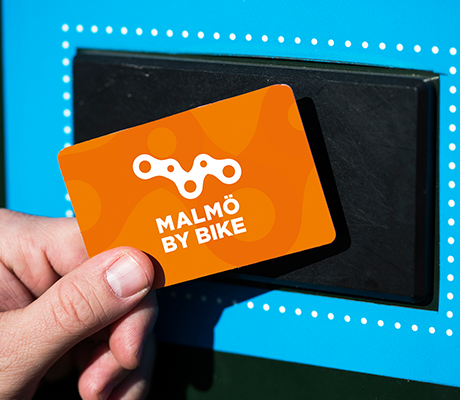 In Malmö, there are over 510 km cycle paths to enjoy. The bike may be used for one hour at a time. Before this hour runs out, it is important that you find a bike station where the bike can be returned. 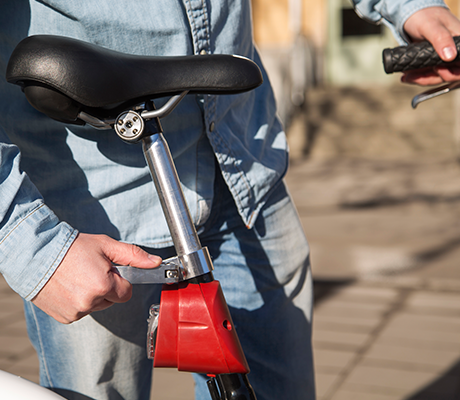 If you wish to continue cycling for more than one hour, simply rent a bike again. 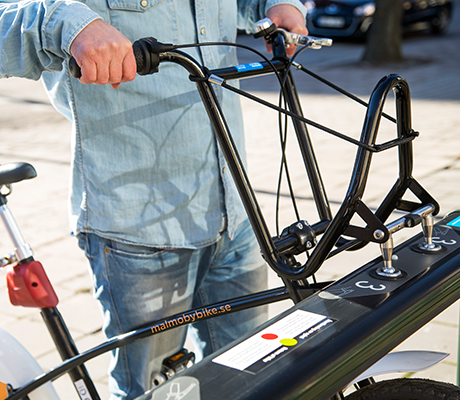 Make sure you return the bike in a connected and powered bike station. Look for a free slot with a green light, put the bike poles in the holes and wait until the light stop flashing and turn to red. Make sure the bike is locked in place. 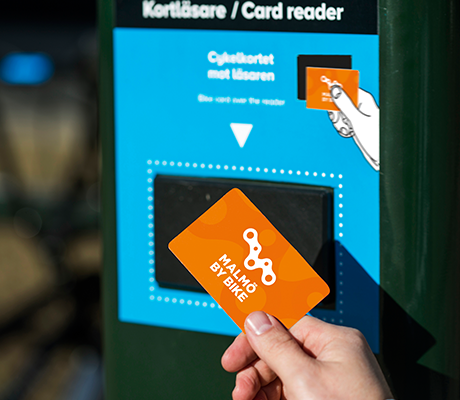 Or use your User-ID and PIN code to confirm the bike was docked correctly. The screen should show a message that the bike was returned successfully, otherwise call our Customer Service at 0770-78 24 24.